The fire, declared fully extinguished some 15 hours after it began, ravaged the 850-year-old building’s roof and caused its spire to collapse. But firefighters who worked through the night managed to save the Paris landmark’s main stone structure, including its two towers. 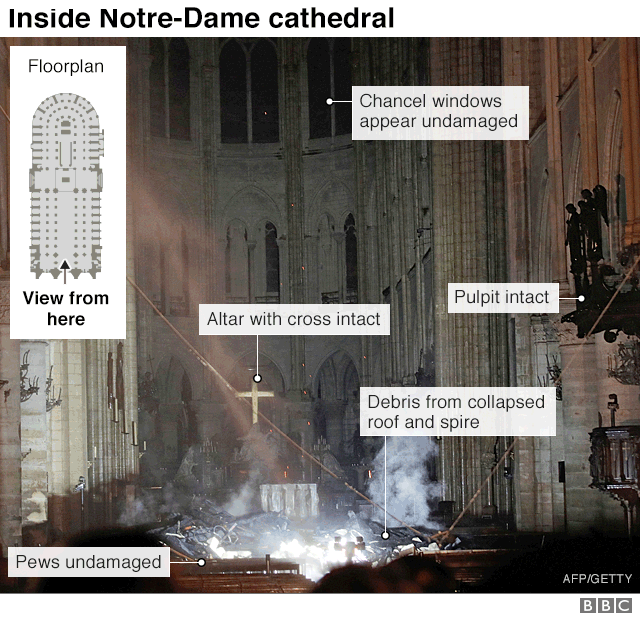 Photos appear to show that at least one of the cathedral’s famed rose windows has survived, although there are concerns for some of the other stained-glass windows. 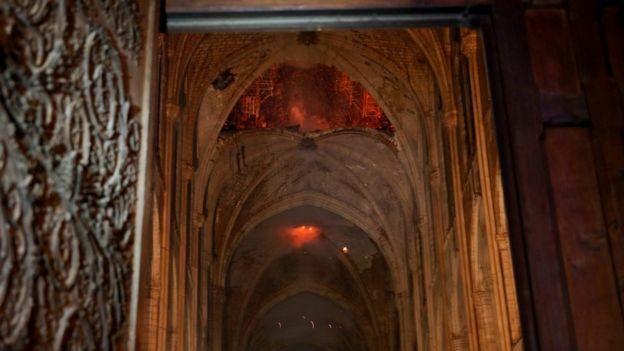 Mr Nuñez said that “overall”, the structure was in good condition, but that “some vulnerabilities” had been identified in the stone vaults and the remainder of the building’s ceiling. French cosmetics giant L’Oreal and its founding Bettencourt family have promised to give a further €200m to the reconstruction effort. Total, the French oil giant, has also pledged €100m. “We’ll rebuild this cathedral all together and it’s undoubtedly part of the French destiny and the project we’ll have for the coming years,” said Mr Macron, in an emotional address on Monday night.